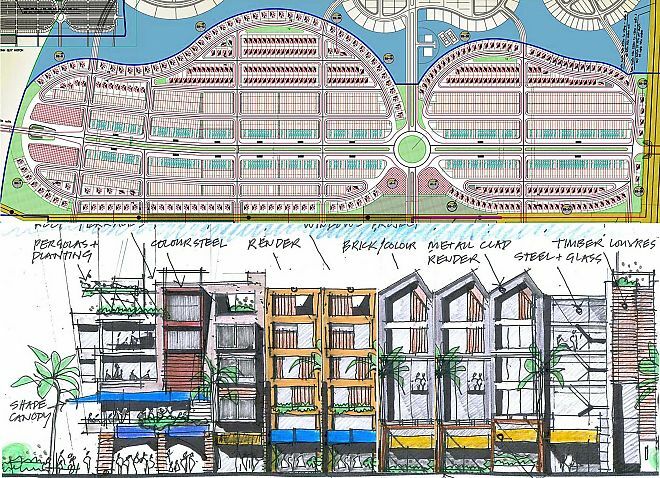 Eco City Da Nang- A master plan based on a series of sculptured river islands that create part of a livable city. 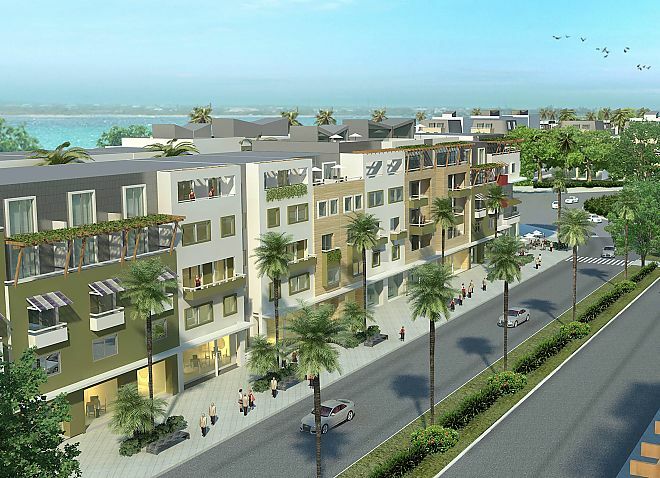 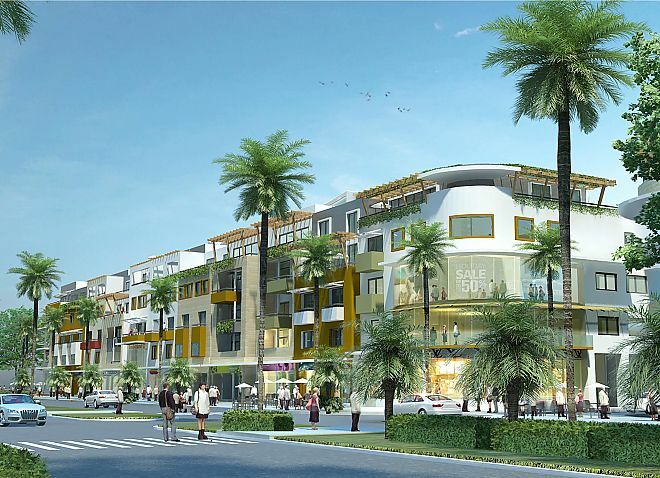 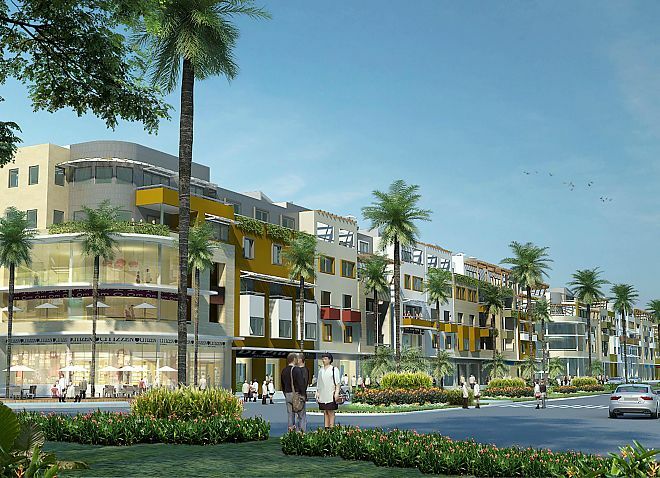 Prominence is for pedestrian-friendly building fronts providing safe and walk able neighborhoods. 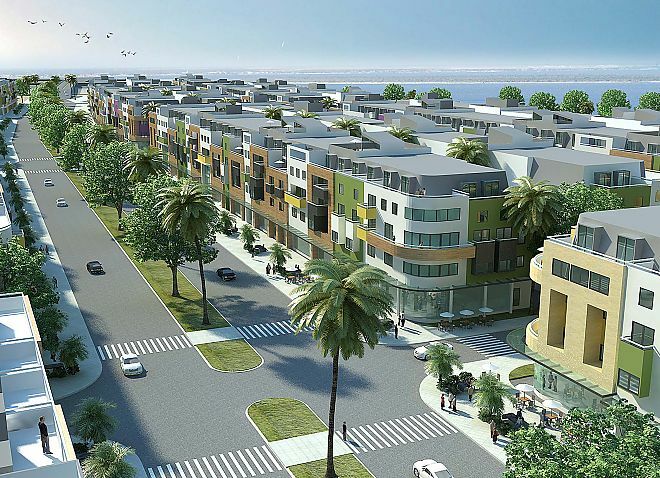 The typical Asian townhouse is transformed by use of different building heights, roofscapes, materials and color that reflect the beach style setting.